Congratulations to Raymond Martin for reaching the semifinals of the Burnside Under 26 Invitational Singles in Christchurch this weekend. Ray won his group with six wins out of seven, and won his quarterfinal on Saturday over Canterbury’s Nathan Glasson 21-14, but fell at the semifinal stage on Sunday to the eventual tournament winner Sean Ingram 21-7. Ingram from the Broadbeach club on the Gold Coast, went through the tournament unbeaten with many sizeable victories, and was in the Australian Development team in this year’s Trans Tasman Test series. 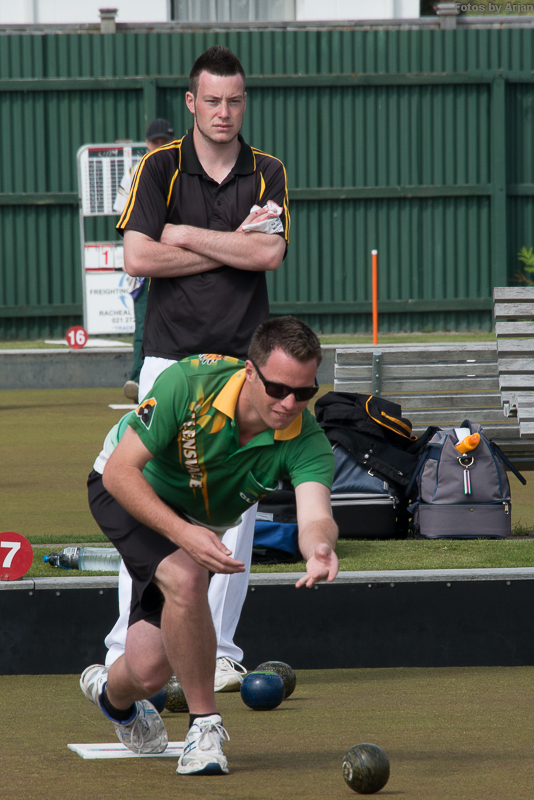 Ray is pictured playing Scott Evans (Auckland) in section play.